Experience the stunning Cape Atlantic coastline from the sky! 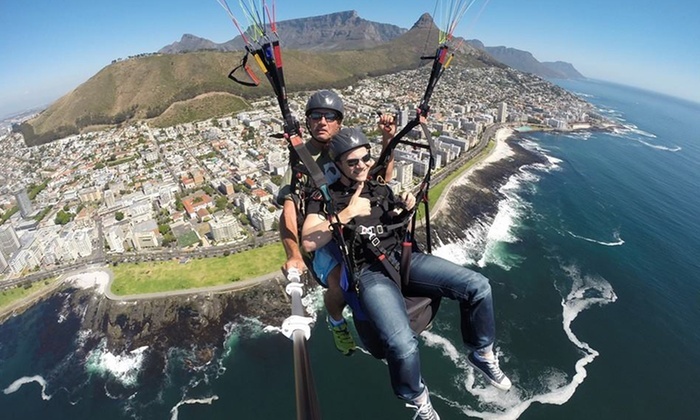 Paragliding tours take off from the base of Lion’s Head and glide on the wind’s currents above Clifton and Camps Bay beaches on the western shoreline, with a backdrop of Table Mountain and the majestic 12 Apostles range. 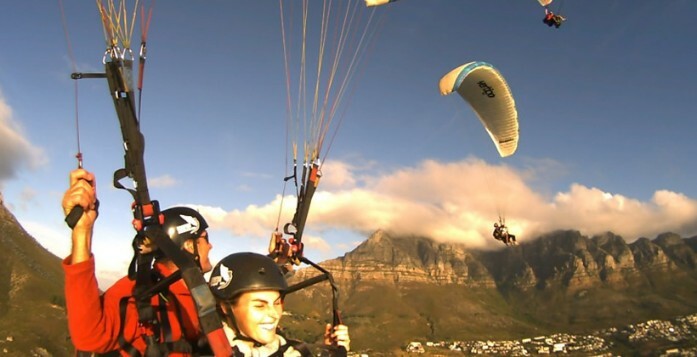 The tandem jump allows you to sit back and enjoy the ride in the safe and capable hands of an experienced professional.